Jason Greenblatt, US President Donald Trump’s envoy to the Israeli-Palestinian conflict, condemned Hamas Friday for its “instigation of violence” along the Gaza Strip’s border with Israel, after a day of intense rioting along the frontier. 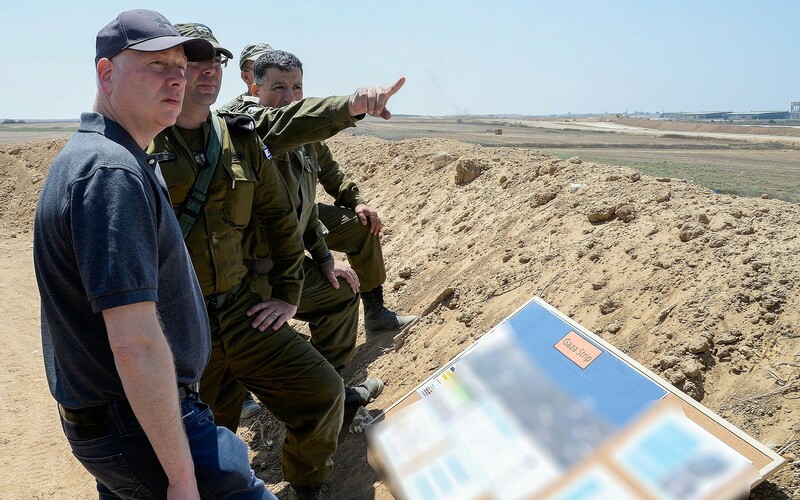 In a tweet, Greenblatt said Hamas was “putting lives, both Israeli and Palestinian, at risk,” and added that it was making “cynical use of Gaza’s citizens” while driving the territory backward. The Israeli army said some 13,000 Palestinians participated in riots along the fence Friday afternoon, throwing rocks, fire bombs and hand-grenades at Israeli troops, burning tires and trying to breach the security fence. Israeli soldiers responded with tear gas and, in some cases, live fire, the army said. A Palestinian woman was shot dead by troops during the riot, the Strip’s Hamas-run health ministry said. Hamas’ instigation of violence along the Israel/Gaza border is putting lives, both Israeli and Palestinian, at risk. Hamas’ cynical use of Gaza’s citizens needs to stop. Hamas will continue to drive Gaza backward with this type of activity. The air force attacked two Hamas posts in northern Gaza in response to violence, the Israel Defense Forces said. At least 15 other Palestinians were injured by Israeli fire during the border riots, the ministry said. One of them was reportedly a journalist, hurt when an ambulance was hit. An Israeli soldier was lightly injured by a rock, the IDF said. The army said it identified several incidents where Palestinians tried to breach the fence and in one instance opened fire on them. “IDF troops monitored the suspects in each incident and all the suspects returned to the Gaza Strip soon after crossing,” the army said. “In response to the violent events along the security fence, an IDF aircraft targeted a Hamas military post.” Aircraft later hit a second post. The Israeli army had braced for an outbreak of renewed violence along the Gaza border, as tensions escalated between Jerusalem and the Hamas terror group that rules the Strip as well as between the Palestinian Authority and Hamas. The Egyptian military sent a senior delegation to the Palestinian enclave on Thursday, led by deputy chief of the Egyptian General Intelligence Services Ayman Badia, in an effort to negotiate a settlement on some of the issues and prevent an escalation. The delegation left Gaza on Friday afternoon and traveled to Ramallah in the West Bank for talks with the PA. Throughout the morning, Palestinians along the border launched balloons laden with incendiary devices across the border into Israel. More serious clashes with Israeli troops began later in the day, following afternoon prayers, as has been the case since March 2018, with the start of the “March of Return” protests, an initially civilian-led movement that was quickly hijacked by Hamas. In recent days, Hamas has ramped up its threats of renewed violence along the Gaza border after Israel halted the transfer of $15 million of Qatari funds to the terror group after an exchange of fire earlier this week. The funds are part of a series of six $15 million deposits Israel is allowing Qatar to deliver to Hamas as part of a highly contentious ceasefire agreement. The funds are meant ostensibly to pay the group’s civilian workers, though some Israeli officials — including former defense minister Avigdor Liberman — maintain the money will be used for Hamas’s terrorist activities. Palestinian sources in Gaza this week reported that Hamas is planning to renew incendiary balloon attacks, along with the offensive tactics implemented in the weeks preceding the Qatari cash injection. Judah Ari Gross and agencies contributed to this report.